The Saturn Inflatable Boat Saved the Day for One Lucky Dog! HomeBoatsToGo - Blog About Inflatable Boats, Inflatable Rafts, Inflatable Kayaks And More...The Saturn Inflatable Boat Saved the Day for One Lucky Dog! You know, you have to give it to creative innovators, especially in today's world where people want quality without the high price. Things like super lightweight affordable bikes, or for the water adventurer in all of us, inflatable boats that outperform traditional ones. Whatever your interests are, more companies are stepping up to satisfy the publics' demands, bringing you ways to gain mobility for less without compromising integrity. In fact, you hear stories in the news all the time about people going out for a pleasure ride on the water, when all of a sudden, the unexpected happens. They’re having fun and enjoying the sights when they run up too close to the shoreline and sharp rocks. If you have a vessel like the Saturn inflatable boat, you are in good shape. It’s when you have a hard hulled boat that big problems could arise. The difference between the two could determine whether you easily get away from the rocks or spend the next two hours figuring out what to do. 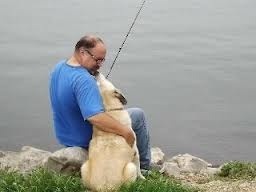 Imagine this; you rise early on a Sunday morning, gather your fishing gear and your best friend, your faithful dog named Blinx, and head out for a peaceful day on the lake. You’re out there on your inflatable boat, catching some fish, and marveling at the still beauty all around you. Life is good, and you count your blessings. All of a sudden, Blinx sees something and goes wild, jumps out of your boat, and gets entangled in your pole and anchor lines. It happened so fast, but you’re the only one out there who can do anything, so you lean way out of the boat, grab onto Blinx who is panicking at this point and manage to heave all 70 pounds of him back onboard. You’re like, where did that come from? It was so fast. Thankfully, Blinx is a bit shaken up and soaked, but otherwise alright. That’s when you realize that the entire time you were wrestling to get Blinx back to safety, your inflatable boat was on top of several rocks. Luckily, you had just gotten this Saturn inflatable boat, known for its strength and durability in life saving missions. You had read a story about how fire and police departments utilize this particular vessel for successful rescues, so you figured if it was good enough for them, it was good enough for you. That was a really good call and one that ended well for you and your best friend. A bit shaken up, you decide to get your gear together and head back. You quickly pack up your inflatable boat, put it on a small dolly, and go back to your SUV. You think to yourself how lucky you and Blinx are to have each other and to make it out safely. Having the right equipment made it possible. It also made it possible for you to go out the very next morning to bask in the beauty of the lake.